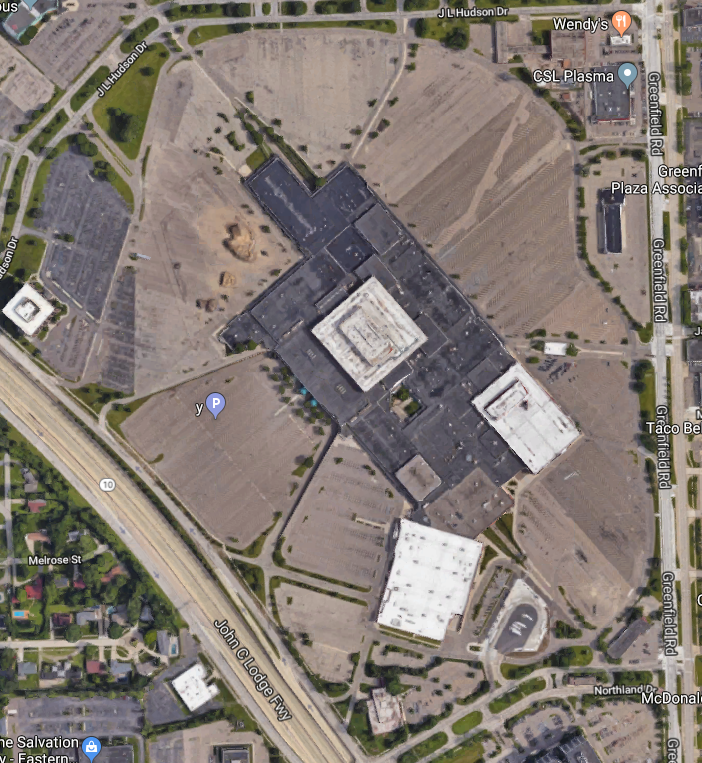 The city of Southfield today announced several developers have submitted letters of intent to acquire land at the former Northland Mall, which opened in 1954 and closed in 2015. The city also has entered into due diligence agreements with the prospective developers. The redevelopment plan calls for a mix of housing options, R&D, medical office, retail, entertainment, and dining. The 125-acre site is located near the intersection of the Lodge Freeway and Greenfield Road. When Northland opened, it was the largest mall in the world and the first in metro Detroit. The city is currently in discussions with Edward Rose & Sons, a Bloomfield Hills-based luxury residential developer, that is interested in approximately 30 acres on the northwest side of the property for a residential development, including senior housing. Negotiations also continue with San Diego-based Pacific Medical Buildings (PMB), a national full-service health care real estate developer. PMB is proposing to build a mixed-use medical development on 25 to 30 acres on the northeast side of the property directly across from Providence Hospital. In turn, General Development Corporation (GDC), a Southfield-based commercial real estate development firm which specializes in built-to-suit office, industrial, and R&D projects, has expressed interest in developing 20 acres of the property on the southwest side. The city also announced the demolition of the Firestone building on the mall property is slated to begin on Monday at 9 a.m. The Southfield City Council unanimously voted to award the contract for the Firestone and Target buildings demolition to Dore & Associates in Bay City ($572,650 plus contingency fees) last fall. The city acquired the closed Northland Center mall, located in the city’s Downtown Development Authority (DDA) District, from a court-ordered receiver in October 2015 for $2.4 million with plans to remediate, demolish, and sell the property to a qualified developer. The environmental assessment, asbestos abatement, and remediation of the former Firestone building has been completed. The complete demolition of the building is expected to take less than two weeks. As the environmental assessment and remediation of the remainder of the mall and other buildings continues, further demolition is expected to take place in the coming months. “The former Northland site represents an outstanding opportunity for a vibrant new mixed-use development of residential, retail, office, medical, and green space,” says Southfield Mayor Kenson Siver. “The Northland name is synonymous with Southfield, and it is imperative that we find the very best use of the site and fit for the community. So far, planning consultants OHM Advisors and HRC conducted a technical analysis of the site, examination of the existing buildings/structures, an assessment of environmental factors, and a market analysis to determine the best possible development potential for the former mall. The city’s master plan for the property is based on a series of development blocks/districts that collectively create a safe and vibrant mixed-use destination for regional residents, businesses, and visitors. The plan is intended to be highly flexible to adapt to market conditions. When Northland Center opened in March 1954, it was the largest shopping mall in the world, 20 years later, in 1974, the mall was enclosed. Northland led the way for Southfield to become a major commercial, business, and residential center in the region. At the time of the original center’s completion, Southfield’s population was 25,000. Fifteen years later, the population had more than doubled to 69,000, and today the city has more than 73,000 residents and a daytime population reaching 175,000. Alongside the contribution to population growth, the center helped foster enormous office expansion. Today, Southfield has more than 27 million square feet of office space, making it one of Michigan’s leading business centers. The original developer of the mall was J.L. Hudson Co., which at the time operated a large store in downtown Detroit. The Detroit store opened in 1881 and was closed in 1983. Currently, Bedrock in Detroit, part of the Quicken Loans Family of Companies, is building a $1-billion mixed use project on the Hudson’s site that will offer one-million-square-foot of space and be Michigan’s tallest building at 800 feet when completed. It, and a neighboring building, will include residences, retail space, conference centers, presentation theatres, a sky deck, and underground parking. It is expected to open by 2022.